For those who has read my blog for some time is well aware that I am against the way many Singaporeans invest in properties. In this blog, I will be doing the same except that I will be providing more figures to proof that property investment is an illogical investment. 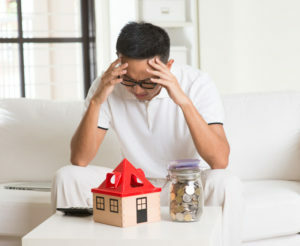 In MAS’ Financial Stability Review it noted: "In particular, before investing in property, investors should be aware that rising vacancy rates, declining rentals and impending interest rate increases mean that they may not always be able to rely on rental income to service their investment property loans." Source: MAS cautions property investors as risks emerge (ST, 30 Nov 2016). Nothing is guaranteed especially property investment. One of the main reason is because the property market is not exactly a free market. Has anyone forgotten what happened two elections ago in 2011? The ruling party lost quite a lot of votes. PAP had the lowest percentage of votes since Singapore’s independence. One of the main reasons was due to the runaway property prices. Many Singaporeans were very unhappy to be priced out of the property market. Since that election, the ruling party had imposed a vast range of anti-speculation measures to stabilized property prices. The first after the 2011 was the Additional Buyers’ Stamp Duty. Property prices are unlikely to crash like a stock market (allowing so is also politically unwise). Neither are we going to see property prices appreciate like the good old days. 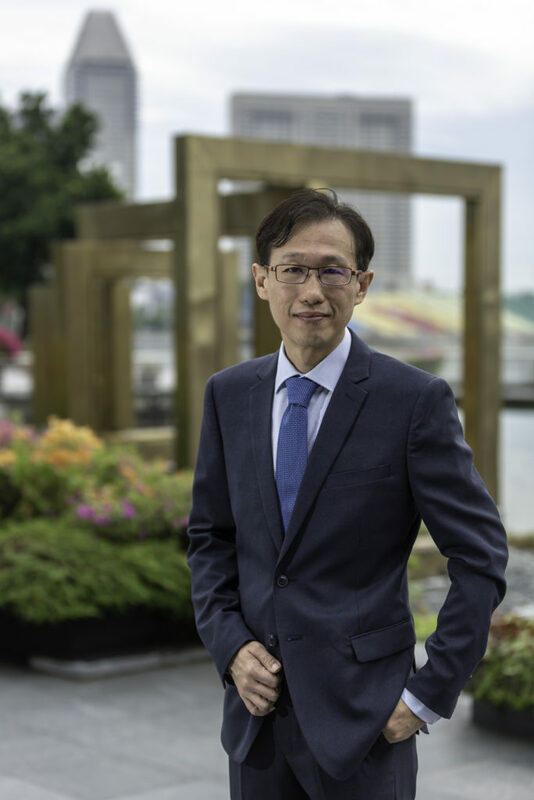 Recently, the Real Estate Developers' Association of Singapore (Redas) president Augustine Tan commented, “we do not see a runaway demand in sales transaction volume and property prices in the next few years” in response to his observation that developers are replenishing land banks in a risky fashion. Source: Question mark over sustainability of land bids (ST, 5 Oct 2017). This is a person who is from the real estate industry. We better listen to him! For the last few years, the global economy and Singapore’s economy has been very good. Stock markets for most countries have risen significantly. The stock markets are leading indicator of the countries’ economies. This means the stock markets have high correlations with the underlying economies. Yet, property prices have hardly appreciated over the same period. Imagine when recession comes, the chances of property appreciating is even more unlikely. When times are good, property prices do not go up. When times are bad, property prices probably will go down. So when is property prices going to go up? If we assume the status quo, never! But prices will go up when the government loosen the anti-speculation rules. Thus, we go back to what I mentioned in the first paragraph of this section that property does NOT operate in a free market. When an investment is not in a free market, you better stay away from it. This is not true simply because the average person already has a concentrated portfolio of property. You can see from the above that the exposure to property is a whopping 140% of the person’s networth! What kind of portfolio is this? This is a terrible portfolio! What is worst is that the entire 140% is just on two investments. There is no diversification at all. A horrible concentrated portfolio. Property investment is actually a rich man’s game. Let’s say your networth is $20 million. You can have twenty properties each worth $1.4 million and assuming a borrowing of $10 million altogether. The exposure to property is still 140%. But at least the portfolio is more diversified. Thus, if you are not that rich, property has NO place in your investment portfolio. Rental yield cannot be 8%. The reason why people says that is because of the wrong calculation. Rental yield has to be net of all expenses and taxes divided by the current price of the property. Many people use historical price purchased 10 years ago. Why historical price cannot be used? Historical price cannot be used because past investment decisions are not relevant. This is especially so when there is no capital gain tax. Thus, regardless of what price you bought in the past, it should not influence your future decision. Moreover, past success (or mistake) are in the past and is not indicative of future. In all investment decision, we look forward, not backward. The rental yield for private property is actually just 1% to 3%. This is probably the most terrible asset class in the world. When I suggest my clients to consider investing in a diversified portfolio, Singaporeans who are addicted to property, will tell me that a diversified portfolio cannot be better. In this section, I will show through proper financial planning, a diversified portfolio is always better from a risk adjusted basis. Consider Mr A who has an investment portfolio consists of $1,500,000 of investment property and a mortgage loan of $1,200,000 to be repaid over 20 years at an interest of 1.5%. The net asset is $300,000. Assuming a rental yield of 3% per annum, he gets a rental income of $3,750. His mortgage installment is $5,791 every month. Since the rental income is less than the mortgage installment, there is a negative cash flow of $2041. This means, he has to come out $2041 from his own pocket every month. Consider Mr B whose investment portfolio is a diversified portfolio of just $300,000. As there is no leverage on this portfolio, Mr B’s net worth is exactly the same as Mr A. 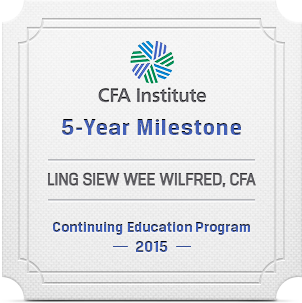 The portfolio provides a yield of 5% per annum. This is easily achievable using a diversified portfolio of REITs and high yield bonds. The dividend income he gets is $1,250 every month (positive cash flow). In terms of cash flow, Mr A is worst off compared to Mr B. Mr A will only be cash flow positive when the rental income is higher than the mortgage installment. However, Mr A faces the risk of not able to find tenant. Such a risk is what we call binary risk. Rental income has a binary risk because in the event he cannot find a tenant, the rental income net of expense is negative. If he finds a tenant, he will get a rental income at market rate. Mr A also faces interest rate risk. If interest rate goes up, his negative cash flow will be worst off. In the example above, I assume 1.5% per annum mortgage interest (which is unrealistic on a long term basis). If interest rate increase by 1% to 2.5%, his mortgage installment will increase by 10%. Mr B will never be in cash flow negative because he does not leverage. Mr B’s only risk is that the dividend yield is not guaranteed and fixed. But he will not face binary risk regardless of how bad his dividends are going to be as he is highly unlikely to receive zero dividends as long as the portfolio is sufficiently diversified. One of the main problem with property addicts is that they do not know there are other investments that can be used. I have an eBook that provides detailed explanation on the various returns and risk of other asset classes. Download the Expected Returns on Major Asset Classes now! Now the in-thing is dividend investing & passive income. So you see many people especially the degree-holder millennials having at least 50%-80% of their portfolios in REITs / Biz Trusts. These portfolios can constitute most of their wealth, apart from their residential homes. Quite a number of them have also managed to build up sizeable portfolios of over $1+M thanks to good salaries & QE for last 8 years. So would you say it’s an illogical overweighted investment into S’pore properties?? Many are quite dogmatic in this approach & they are happy with the limited diversification & the fact that S-REITs pay some of the highest yields in the world. Hence the sector & home biases. They have confidence that they will be able to sail through any future bear markets, although most of them only started serious investing after 2009. Only a handful have gone thru the GFC experience & survived. As a student of financial & market history, I eagerly look forward to how this approach & it’s investors fare in the next recession & bear market. This is the same old argument. Your position is based on YOUR narrow perspectives. Historically, many of the older generations benefited from properties. Ask any property owners who bought them long ago.Many millionaires are the products of property investment. Property investment is almost idiot-proof. Investing in shares, REITs, commodities and other asset classes without much any knowledge and skills is tantamount to speculations! Now the situation of collective sales craze is even making more millionaires in Singapore. This collective sale situation easily debunks all your arguments of Myths 1 to 5 and the table of Mr A and B comparison. The only thing that may outwit property investment currently is crypto-currency. I rest my case. Which part of the article you specifically disagree? All the points are absolutely valid! Moreover, I do not agree with the argument that property is a good investment because it has been so historically – what is in the past has no relevance now, in fact great appreciations in the past likely means that there is less room for appreciations in the future. There is one point which I believe is missing when it comes to property: It is physical and, thus, easier to relate to. Most people, in my opinion, are irrational in their money matters (and matters in life in general). They will save $0.30 by taking the next bus, only to take the cab back in the evening. Same goes for spending and saving in general. That is, it is generally, good for people to have a saving commitment that they must work hard to meet (such as a mortgage on a property investment) and it is good to have the physical object in mind as encouragement when the commitment becomes hard to meet. In contrast, the fast liquidation of a more diversified investment portfolio including bonds and shares means that the commitment never becomes very real, and the digital nature of the investment further adds to this feeling. Hence, what often happens is the same as in the cab situation above or with the New Year’s resolutions: We have a plan to save but at the slightest disturbance we exit from the plan out of convenience and due to lack of motivation. So, should you buy for investment: Well, I would say it depends on your exposure. How likely are you to go down if interests increase 1-2%? If you lose your job for 3 months? If you can handle a bit of storm and you know you are a lousy saver with no backbone, only able to focus on the bills to pay, then I think property is better than an intention to save for a diversified portfolio.